Rather than focus on an individual record for my first posting, I thought I’d briefly discuss my top five collecting highlights of 2014. That’ll kill two birds with one stone: first it’ll save me the almost impossible decision of picking a single record with which to open my account and, second, by covering five records, I can give a flavour of my interests. The choice of these five records wasn’t determined by one single consistent criterion; rather it’s a combination of things: how collectible the record is, whether it’s a first or original (whatever that means) pressing, condition, the quality of the music and the recording, personal preference and a bunch of other less tangible factors that I’ll try to elaborate on as I go along. I could easily have filled all five choices with Blue Notes but that would have left no room for variety, so I’ve aimed to ration myself. Why this one then? Firstly, the line-up: not just Burrell and Blakey but Bobby Timmons on piano and the fabulous Tina Brooks on tenor sax. I’ve been a fan of Brooks for as long as I can remember, and the chance to snag another one of his few appearances on record was too good to miss. Secondly, this pressing is the real deal: mono first pressing, 47 West 63rd Street address and deep groove labels, all the right markings in the deadwax and a laminated cover. Copies of this record in top condition sell for silly money and I got lucky and picked this up for less than a quarter of what seems to be the going rate. The seller listed this on eBay as VG++ for both record and cover – a description that I was happy to see was accurate when it arrived in my eager little hands. All the more so after I got the record properly cleaned. Even better, it was UK seller, so no hefty shipping charges. All in all, an atmospheric live recording and a sweet deal. As with all five choices here, I’ll revisit this one in more detail in a future dedicated posting. 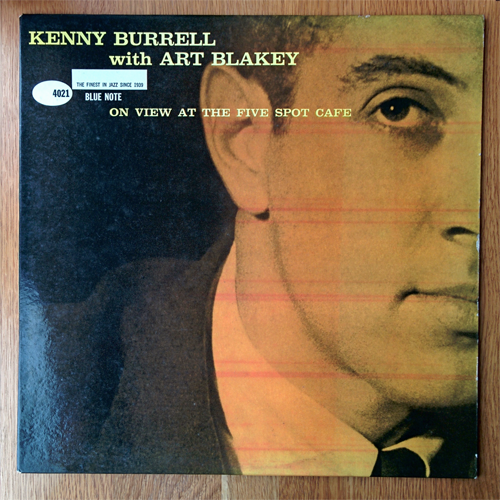 Collecting original jazz recordings can sometimes be a frustrating experience: so many records on the wants list, so few of them readily available and when they are, the prices can be prohibitive for those of us of limited budgets. So I try to break things down into attainable small targets. One such target is my plan to obtain original stereo pressings of the acoustic recordings of the so-called second great Miles Davis quintet (i.e. the Davis, Shorter, Hancock, Carter, Williams line-up). I’ve had a copy of ESP for a while (well, two actually but that’s a story for another time), so I was delighted to win the auction for this one. It’s got two-eye labels and is in near mint condition apart from a small red pen mark on the rear of the cover. Now, dedicated Columbia collectors can get very excited over matrix numbers in the deadwax and ones ending in “1A” command premium prices. I had no idea of the matrix numbers on this copy when I bid for it and nor did I particularly care. But it turned out to be “1A” on both sides, so I got lucky. I suspect if the seller had known to look for this and to mention it in the description, the auction kitchen would have got hotter than I was prepared to stay in. 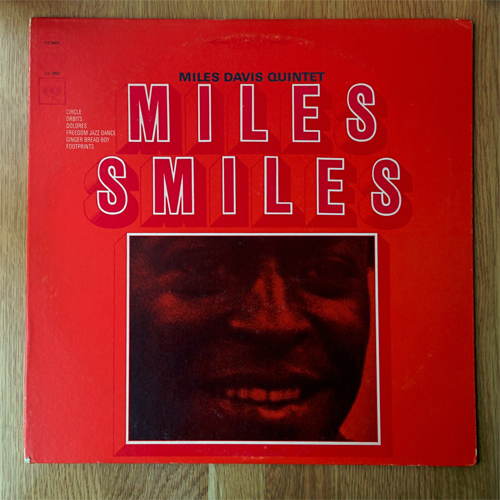 More to the point, Miles Smiles is a strong candidate for the best record in the whole Davis canon. With so many to choose from, in so many styles over such a long career, it’s inevitable that we’ll each have our own favourites but this one is up there for me. This one just scrapes in by virtue of being my last purchase of 2014. Was Simone a jazz singer? A blues singer? A gospel singer? A folk singer? All of those or none of them? Who cares! One thing is certain, she was unique. And that’s without bringing her piano playing into the equation. 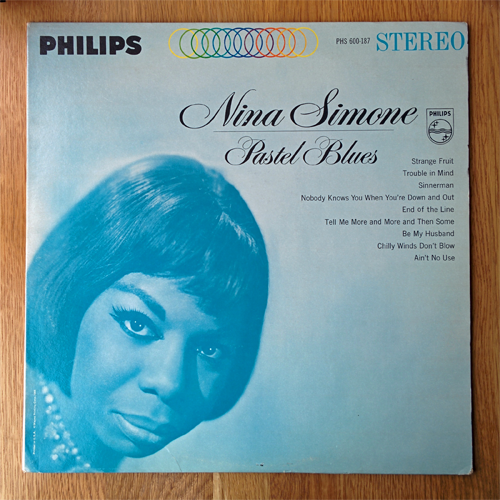 Almost all of Simone’s recordings have been reissued or anthologised over the years, so it’s pretty easy to pick up the songs on this LP in one form or another but I’ve been holding out for originals. Collecting a set of her Philips records is another one of my attainable targets and probably one I’ll focus on in 2015. Pastel Blues was top of my list and is in this top five for one single reason: the astonishing ten minute rendition of Sinnerman that closes side 2. Several other tracks are also stand outs including Strange Fruit and Be My Husband. Copies of this record aren’t that rare but I’d been waiting several months for a stereo pressing in the best possible condition and this one came up only a couple of weeks ago as a “Buy It Now” item on eBay from UK seller. Conventional wisdom is that “Buy It Now” deals don’t always offer the best value or condition but there are always exceptions to the rule. Mono pressings seem to be slightly more expensive though I’m not convinced that they are sonically superior. Having said that, as I wrote this, one very well known eBay seller had a mono copy up for auction that sold for almost double my stereo copy. So did I get a good deal, did the bidders on this auction get overexcited or was the mono pressing worth the premium? You decide. 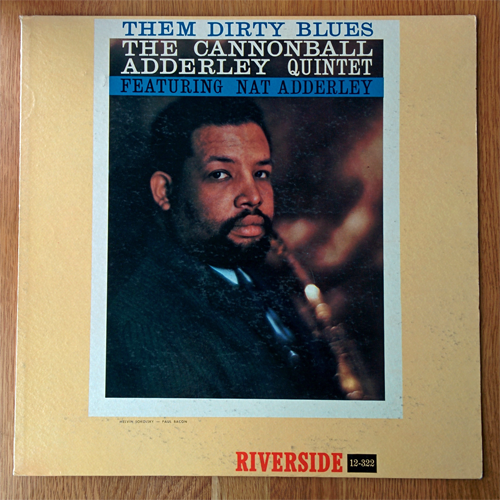 The Riverside recordings of the Adderleys show that collecting original pressings of high quality jazz doesn’t always have to leave a gaping hole in your finances. What you do need, though, is patience to search for copies in sufficiently good condition and then the research knowledge to know that what you’re looking at is the genuine article. This group was famous for a series of exciting live recordings for Riverside but this LP, recorded on two dates in the Spring of 1960, shows they could be just as potent in the studio. Swapping pianist from Bobby Timmons to Barry Harris between the two dates, the quintet hardly breaks stride as they confidently burn through seven great tunes including classics like Nat Adderley’s Work Song, Timmons’ Dat Dere and Duke Pearson’s Jeannine. The latter is one of my favourites and serves as a great reminder of the talents of bassist Sam Jones. Correct identification of original Riverside pressings can be a finicky business and I can do no better than refer you to Andy’s guide to Riverside pressings over at LJC. If you’re wondering, yes my copy has the correct small reels and microphone blue and silver labels (with deep groove) for a first pressing but the cover address is the slightly later 235 West 46th Street one. I thoroughly recommend these Adderley Riverside records as a hugely enjoyable and affordable way to get into collecting first pressings. My first period of serious jazz record collecting was back in the late 1980s and early 1990s before a different expensive hobby claimed precedence when my wife and I had daughters! That period coincided with Michael Cuscuna and Charlie Lourie setting up Mosaic Records. Back then, those limited edition Mosaic box sets seemed like an expensive if wonderful proposition, so I could only afford a few. Had I known how sought after they would become, there are several more I would have invested in at the time. One such is this three LP Freddie Redd set. So you can imagine how delighted I was to be able to rectify that situation during 2014 with a set that’s in almost perfect condition and bears the magically low number of 14 of the 7,500 that were made. 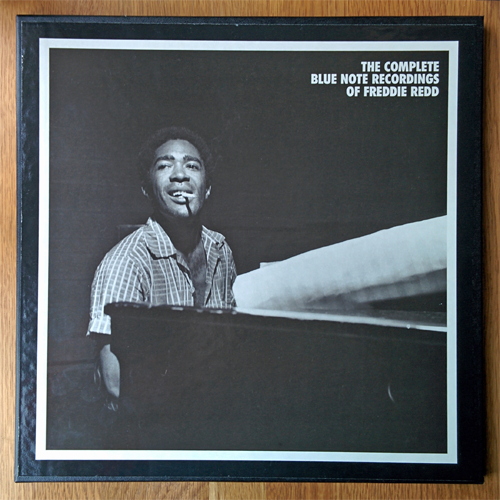 The set covers both the Freddie Redd LPs that Blue Note released back at the dawn of the 1960s – The Music from the Connection and Shades of Redd plus a previously unreleased third session which has since been made available as Redd’s Blues. As with all Mosaic box sets, it’s a labour of love: beautifully made with a terrifically written and illustrated large format booklet and the inclusion of alternate takes of several tracks. With three records to consider, detailed discussion will have to wait for another time but suffice to say that originals of the first two are among the most highly prized by collectors of the Blue Note 4000 series. A first pressing Shades of Redd in particular qualifies for the often overused holy grail status with it’s value increased, I suspect, by the presence of both Tina Brooks and Paul Chambers. So there you have it, potted highlights from 2014’s collecting. What were your best collecting moments of the year? Hi dottorjazz! Good to see you here and thanks for leaving a several comments in one session. That’s an impressive quintet of highlights. For now, I can’t see me getting first pressings of those Morgans but I recently acquired the Mosaic box set of his 1950s Blue Note recordings which covers both those records and his other highly collectible releases from that period. I’m trying to ration myself to listening to them in chronological order.